SUMMER PASSes are now available… they will cover EVERY SHOW in JUNE / JULY / AUGUST plus posters when available; we currently have posters in the works for And So I watch you from afar/zechs marquise, fang island, lightning bolt, shonen knife and more. Starting with Dent May on Friday and ending with a tba show at the end of August, Parade of Flesh is offering up a Summer Pass for the wonderful low price of ONLY $60. for 20 shows that’s only $3 per show!! Very limited number of passes available. Want to bring your lover(s) or best friend to the show? add a “+1” for $30. The “+1” can be used by anyone you bring. PLEASE PAYPAL to johnis (AT) paradeofflesh (DOT) com / Feel free to email with questions… Ca$h in person at a show is fine too. SUMMARY: $60 pass for one (must be used by that person) add $30 if you want to bring a random guest so that you aren’t lonely…. I’ll at least talk to you, so don’t worry if you come by yourself. Rules: This goes only to the recipient indicated at the time of purchase; if its a gift please indicate who its for at the time of purchase; only transferable upon recipients death and must be bequeathed in their last will and testament. 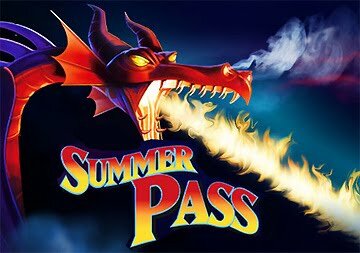 This entry was posted on June 15, 2012 at 9:45 am, filed under News and tagged summer pass you know you want it.